Most people have severe misconceptions about the world they live in. Our ignorance surveys have shown that the general public is misguided about many basic global facts. Reliable global statistics exist for nearly every aspect of global development, but these numbers are not transformed into popular understanding because using and teaching statistics is still too difficult. We want to change that! A fact-based worldview is essential to be able to grasp the complexity of sustainable development. Our mission is to offer a fact-based worldview that anyone can understand. Through our work with the ignorance surveys we have come across three mega misconceptions: 1) “The world is divided in two”, 2) “Everything is getting worse”, and 3) “The population just increases”. Gapminder’s core mission is to help people overcome these misconceptions. Making people aware of their overly dramatic worldview is the first step to build a worldview based on facts. 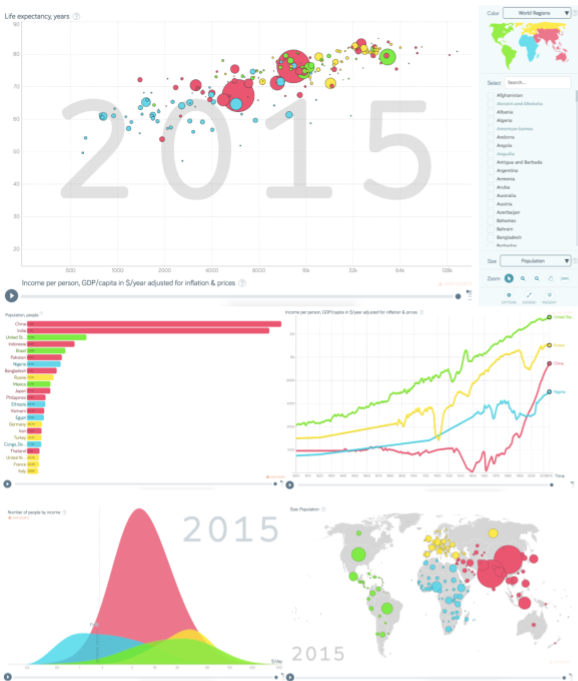 Gapminder increases knowledge of global facts by creating free, fun and easy-to-use courses and teaching tools for young people, educators and the public. See gapminder.org/tools and gapminder.org/dollar-street. By helping people of all ages develop a fact-based worldview, we will empower them to understand the realities of life for women, men and children living in different countries—and so make well-informed decisions. The IKEA Foundation has been supporting us in spreading a fact-based worldview for many years. It has just renewed the funding to our core activities until 2019 because it believes that a better understanding of global facts will support sustainable development for children and families living in the world’s poorest communities. Take the Gapminder Test 2017 to see if you know these 12 basic facts about global development. 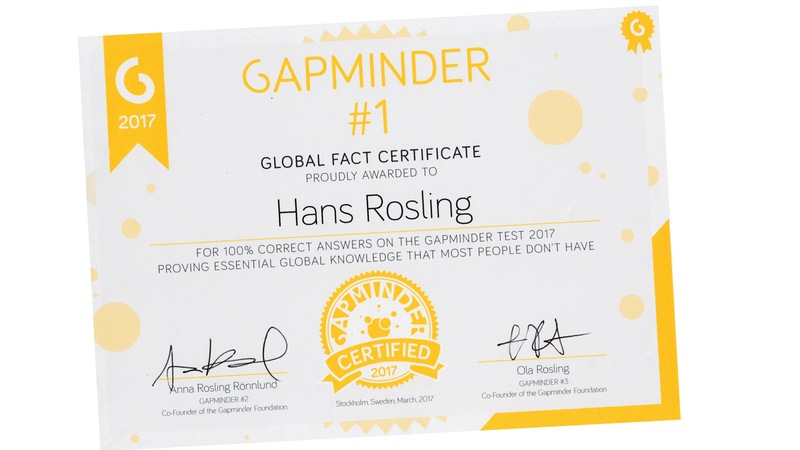 If you answer all questions correctly, we’ll send you the Gapminder Facts Certificate 2017!